In the azure waters of the Indian Ocean, southwest of the Indian subcontinent, sits the Maldives - a glorious chain of more than a thousand small islands, reefs and sandbanks, stretched out like a string of pearls. With its languid pace, unique culture and outrageous natural beauty, this is a world apart from mainland India and as exotic a tropical island destination as you'll find anywhere on Earth. Swim and snorkel through crystal clear waters, atop coral reefs teeming with colourful sea life; and relax on the powdery white-sands of some of the world's most perfect beaches. Discover uninhabited islands; feast on incredible seafood, caught fresh each day; and engage with Maldivian culture as you meet famously friendly locals in small island settlements. Join us as we cruise between the remote atolls of this spectacular archipelago aboard a traditional dhoni sailboat, exploring deserted beaches and dropping anchor off a new beautiful island each night. Cruise through serene waters on a traditional dhoni to the uninhabited island of Waagali. 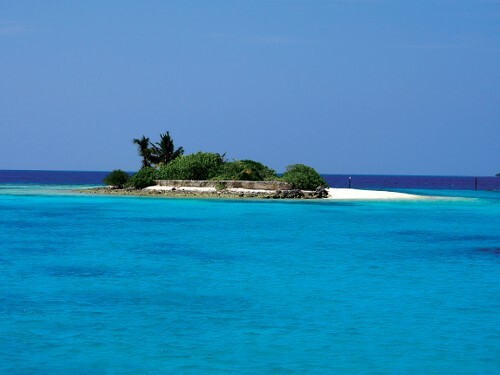 Swim, snorkel and dive off the coast of Vashugiri and take in the abundance of underwater life. 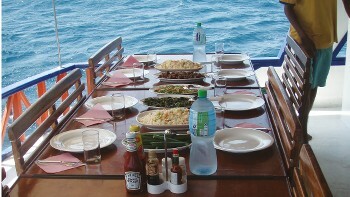 Savour the local seafood caught daily with fresh food on board and in Male. 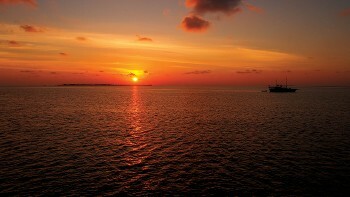 Anchor at Keyodu and catch an idyllic sunset aboard a dhow. Our Maldives dhoni cruise offers exceptional value for money with the inclusion of all meals freshly prepared by the boat crew. 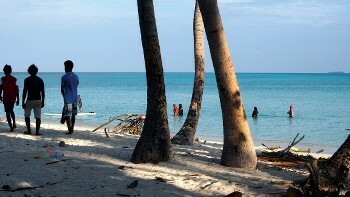 Responsible travel practice is at the heart of our Maldives program. When you book our dhoni cruise you are supporting local communities and the conservation of natural environments. Our crew onboard our Dhonis are well trained in educating passengers on the responsible way to snorkel, dive, fish and partake in other water based activities to ensure that no harm comes to the delicate corals and other sea life. Our specially equipped boat - the traditional styled Dhoni - provides the opportunity to explore both inhabited and uninhabited islands a world away from the tourist resorts. The Maldives has a tropical climate and as such there is relatively little change in the overall temperature throughout the year. Weather is generally warm and humid. The islands are subject to a double monsoon. The south west monsoon occurs from May to November and the north east monsoon prevails from December to April. The north east monsoon does not attract the same degree of cloud over or rainfall as the south west monsoon, and the occasional afternoon shower will not detract from your enjoyment of the islands. Severe monsoon storms are very rare. Throughout the year daytime temperatures are around the mid 20’s degrees Celsius. Night temperatures are pleasantly warm, although sea breezes can be quite cool. The hottest month is April and the coldest is December. We recommend that you bring US dollars (in cash) as it is readily accepted over other currencies. Credit cards are accepted at many of the beach resorts however it is not recommended to rely on these solely. Please note that only USD will be accepted while on board Dhoni cruises. Electricity in Maldives is 230 Volts, at 50 hertz. The pin type varies but is most commonly types C, D and G. We recommend taking a universal adapter.